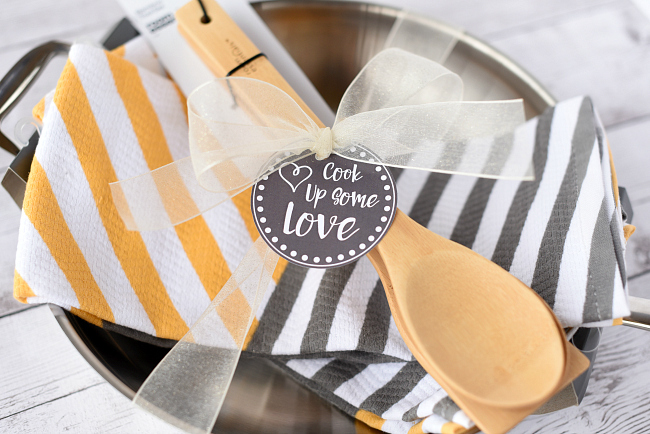 A Peek at the Fun: If you’re looking for creative wedding gifts, this Cook Up Some Love present is a fun spin on something they couple already needs and is sure to love. 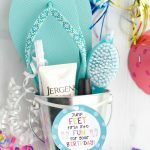 All you need to do is grab the fun items and print the tag! We recently had a mutual friend get married and wanted to go in together on a fun wedding gift for her. 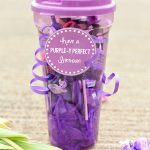 We’ll tell you right now that we can walk through Target together and literally have our minds explode with creative wedding gifts and ideas, so it was a little bit tricky to figure out what to choose, but we love how this turned out. 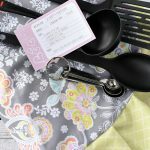 We put together a Cook Up Some Love wedding present with fun things for the kitchen and a cute tag and packaged it all together. It’s so simple but it’s something the bride and groom will really love and actually use. 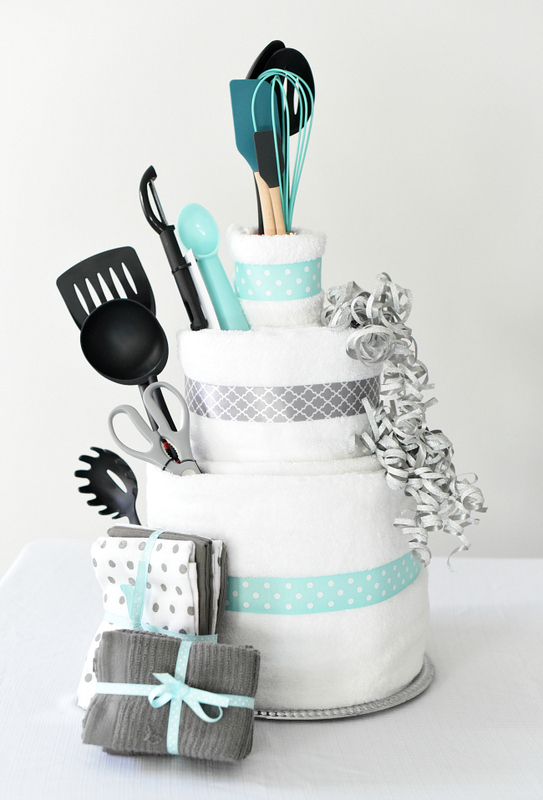 You can pick things straight off the registry so you’re sure they will love it. 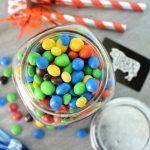 Really, you can add anything to this wedding gift and make it perfect for the Bride and Groom. 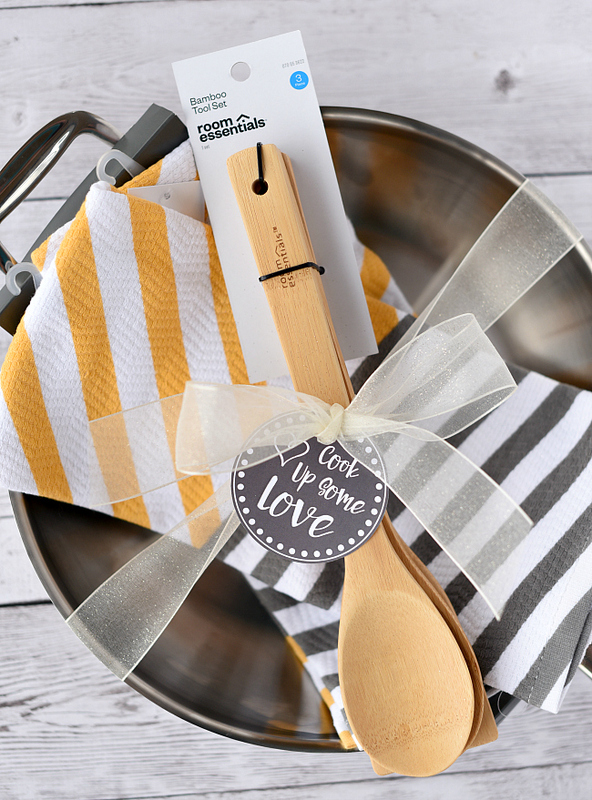 Grab things from their registry, grab things you love, make a cute apron, do whatever works for YOUR perfect gift idea, then add the cute tag and you’ve got a cute wedding gift idea that’s practical too. And can fit any budget! Dish towels, dish rags, etc. What else would you put in yours? We’d love to hear more ideas! OK, here’s the fun tag that you can use for your gift. You can either right click and save it to your computer, then open in a program like Pages or Word, size how you want, then print. Or we have a PDF with a bunch on it that you can just open and print. Whichever is easier for you! 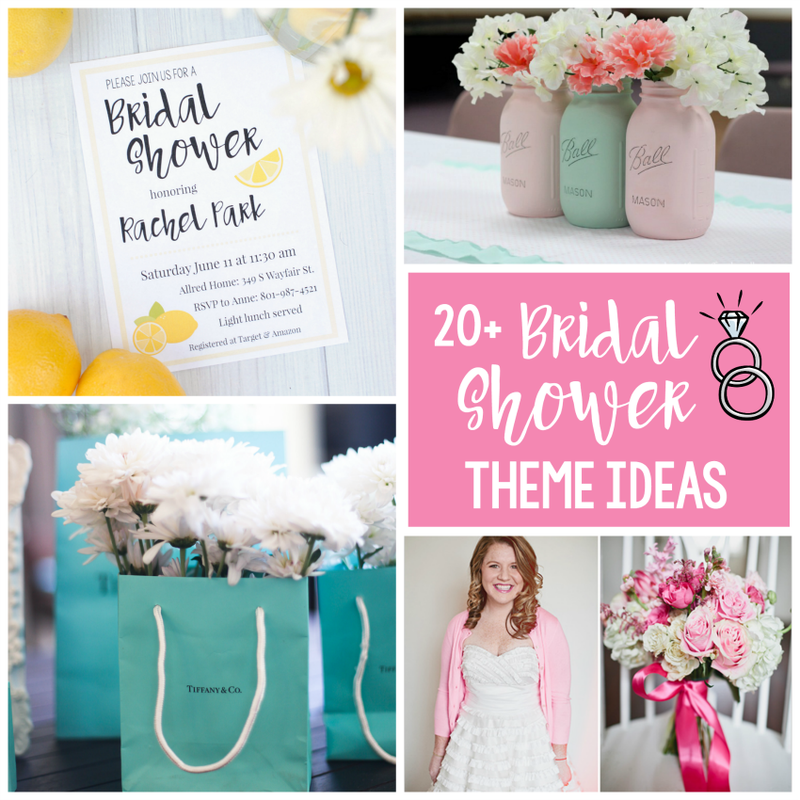 Have FUN making these cute and creative wedding gifts! These Wedding gift ideas are too good. I think they can be used for Valentine’s Day as well. 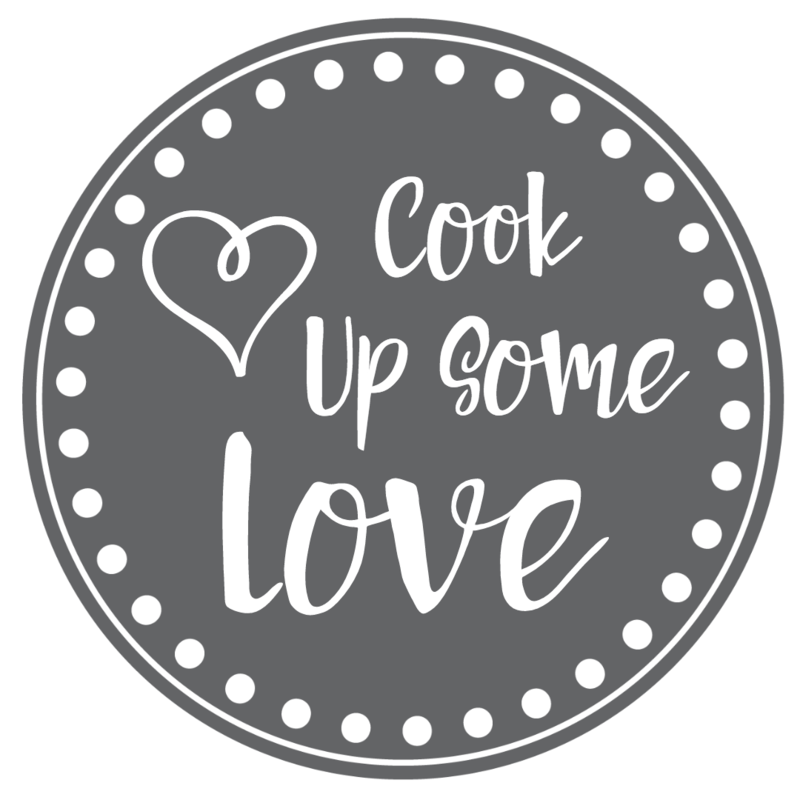 I love the quote ‘cook up some love’ its so catchy! I can relate these gifts to many special moments. Thank you for sharing.